I am attempting to set-up a condition for a field. I want the field to pull up a free text field if a certain value is entered. However, when I test it in preview, it does not appear. Is there something wrong with the set-up? Can you please check this form if this is what you are trying to achieve. Yes, the form is fixed. Thank you!!! Is it possible to calculate the total amount of payment? 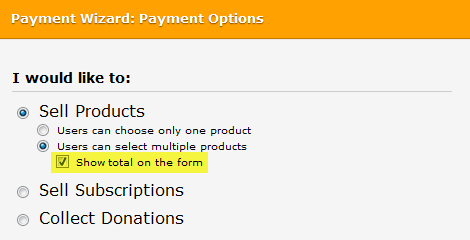 (Not on your form requirement but )May may also want to have a look at the Payment wizard where you can show the "Total amount" of your products selected.